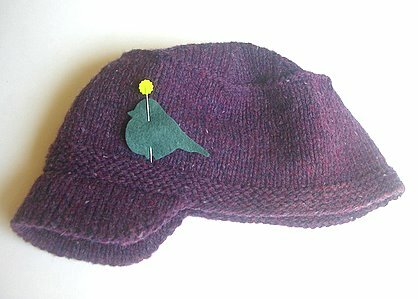 Adding a felt patch is the perfect way to add character and personalize your knit items. Although we designed them to work with our cadet hats, you can use them on pretty much everything! These would look great on sewn or deconstructed items too, Anyone can make them, no matter your sewing or embroidery skills so don’t be afraid to give it a try. 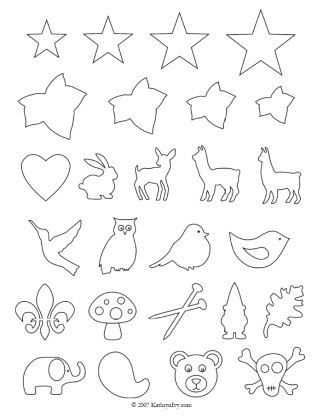 For your patch, you can choose from a variety of shapes that we drew as a template, or you can come up with your own. The sky is the limit! Choose your desired pattern piece from the Kathryn Ivy patch template sheet or come up with your own design. Please remember, the patches range in difficulty from simple to hard depending on the shape and number of points on the patch so please take this into account. 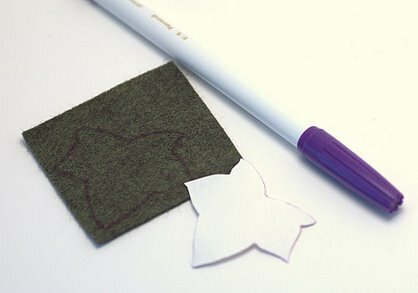 It is also helpful to use wool felt or a wool/acrylic blend, if you are making a patch from a template with thin sections (like legs or ears). If you’d like patches larger than the ones we’ve provided, you can enlarge them by adjusting the output settings on your printer. 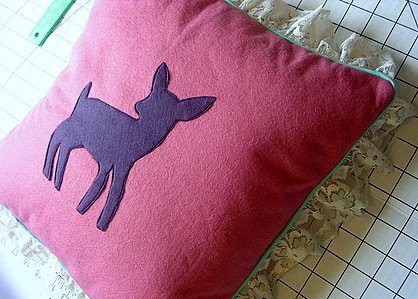 Trace around your pattern on your felt with the marker. 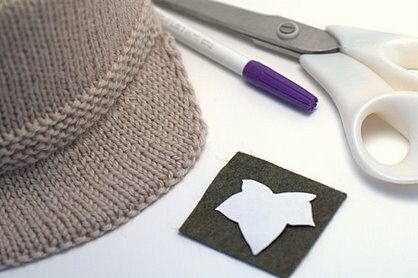 It's best to mark the side that will be the "wrong" side and attached to the hat, so you may need to flip your template. Cut your patch out carefully. For designs with smaller areas to cut out, it's helpful to have a small, sharp, pair of scissors or craft knife. You can play around with where you’d like your patch. Once you’ve decided, pin your patch in place. 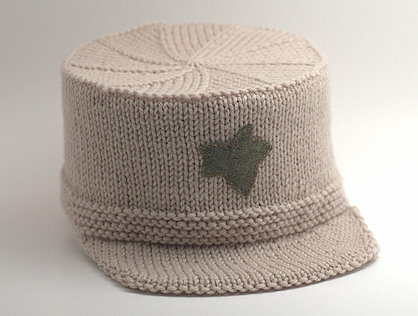 If you are attaching an asymmetric patch to a hat it my be difficult to center it over the bill. I have found it is easiest to look in the mirror and pin the patch into place while wearing the hat. Just be careful not to poke yourself! Remember that you don't have to always have your patch centered, so play around with it until you find what looks best! 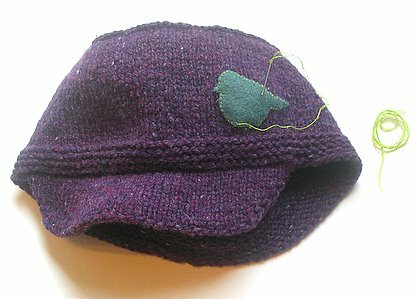 You can attach the patch to your hat using a running stitch, blanket stitch, or whipstitch. We used a single thread of embroidery floss to attach our patches, though you could use more threads for a different look. There are so many possibilities and looks you can achieve by using different types of thread and stitches, so have fun here! You can choose to embellish your patch with embroidery, buttons, sequins—or leave it as a simple silhouette. There are lots of options! If you do choose to embroider on your patch, it is probably easiest to do that before attaching it. These patches would also be great to embellish felted bags, baby sweaters, and much more. Feel free to use these patch templates for your own personal, non-commercial, use.